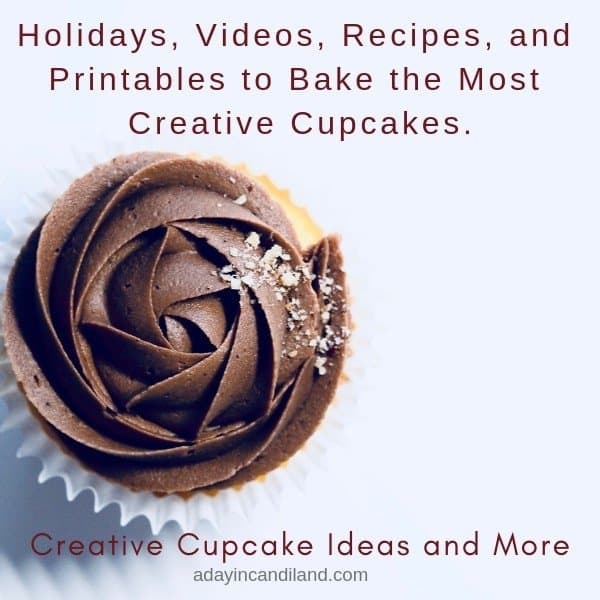 Creative cupcake ideas and more is a collection of fun, unique, and gourmet cupcake recipes. 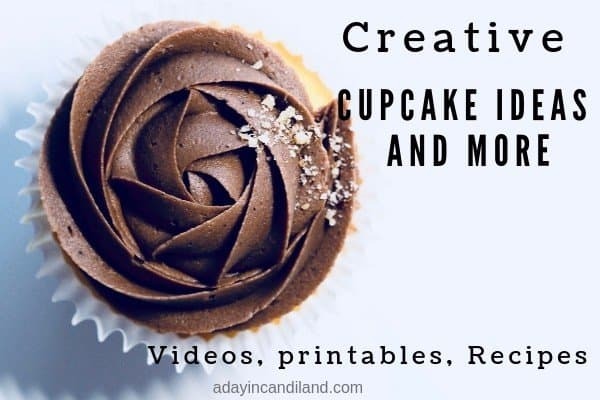 I make cupcakes all week long and there is no end to the creativity and fun cupcake ideas you can make. Making cupcakes with your kids can be a great way to spend time together and teach them some baking skills. It is also a way to let them express their creative side. Cupcakes are my favorite dessert to make. There are no limits to the types and varieties you can create. 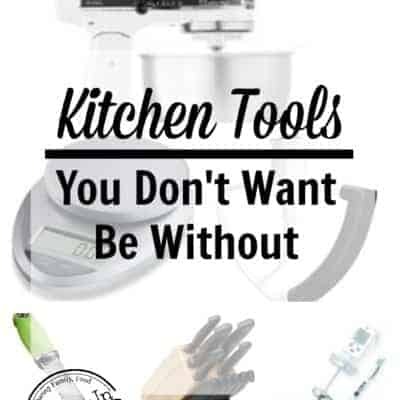 From French Vanilla to Citrus flavors, to Veggie ingredients (carrot cake). Then you have fillings to choose from, ganaches, custards and more. There is no end to possibilities for this amazing gourmet dessert. 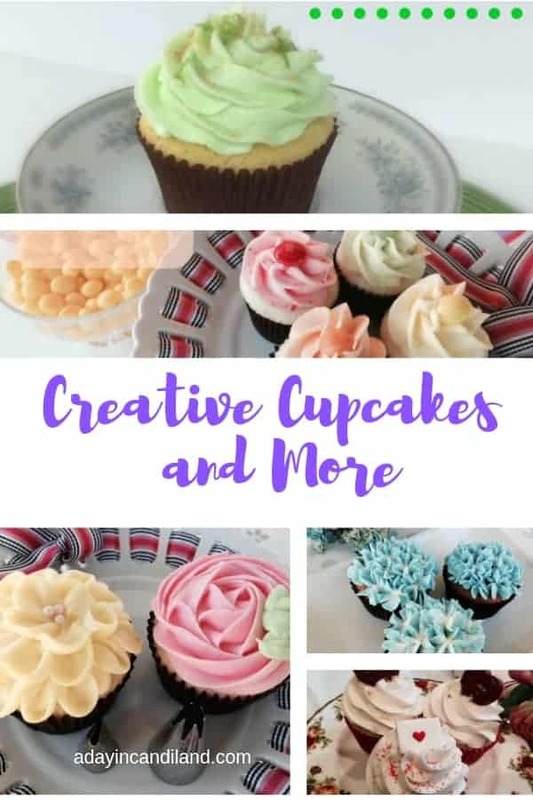 Cupcakes can be for snacks, parties, baby showers, birthdays, weddings and beyond. Then when it comes to decorations, it goes even further to the imagination. You can make cupcakes look like a cake. They can look like a flower bouquet. You can decorate with frosting and fondant. Cupcakes come in all sizes from small, medium, large and even mega cupcakes. 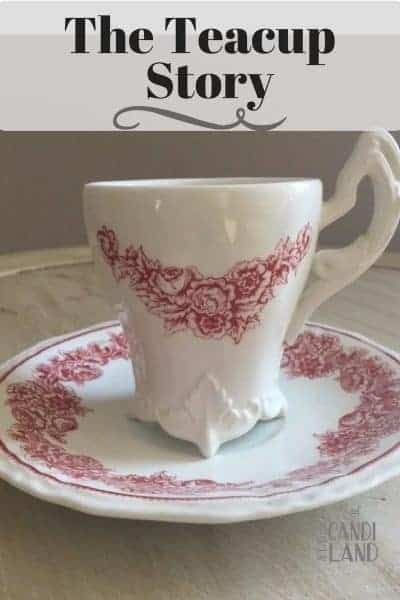 You can add decorations on top, make a design inside so when you cut into it you can see it. It is so versatile and fun and tasty. It is the best little dessert you can make. A vanilla cupcake with lemon zest filled with lemon curd. A Vanilla cupcake with key lime extract and filled with a lime curd and lime frosting. A delicious colorful cupcake infused with skittles. A flavorful cupcake experience. A chocolate cupcake layered into a ball jar with mint frosting and mint chocolate chips. A Chocolate cupcake with a fondant baseball decoration on top of vanilla icing. A sweet and spice filled cupcake with a toasted meringue frosting. These dark chocolate cupcakes are topped off with a creamy peanut butter frosting. A vanilla cupcake that can be the base of many different flavors. Topped off with a vanilla bean frosting. Looking for a cupcake recipe that is gluten free and dairy free. This is it. A chocolate cupcake with dairy-free vanilla frosting. A DIY Cupcake Tutorial for a baby shower or bridal shower. Create these sweet and fun leopard heart fondant cupcakes. A moist Vegan banana cupcake frosted with a rich chocolate frosting. Make these red, white and blue cupcakes and print off some cupcake flags to place on top. Great for the 4th of July. Make these Luscious Strawberry Cupcakes with a filling of whipped mousse. They are filled with a whipped strawberry mousse that is so decadent you get a taste of heaven in each bite. Create these Cupcakes for your favorite shark party. Red Velvet Cupcakes with a hint of cocoa and that amazing cream cheese frosting on top. So yummy. A delicious spice and carrot cupcake filled with optional walnuts. Topped off with a cinnamon cream cheese frosting. Looking for some cute Easter Cupcakes to Make for the holiday. We have lots to choose from. 20 Jolly Holiday Cupcake ideas your kids can help with. Cupcake Flags to insert into your cupcakes to give an added cuteness. Want to make your own Cupcake Stand that can be used for your Dr. Seuss parties? What is your favorite designer cupcake flavor? Leave us a comment below. I’m not much of a baker or a decorator too, but these cupcakes all look scrumptious and pretty. I might have to try these. 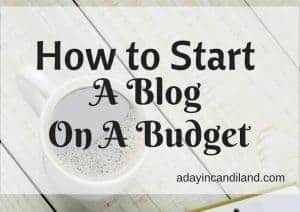 I especially like the mint chocolate chip ones in the mason jars – what a genius idea! You had me at key lime…And a key lime CUPCAKE? Yes please! Oh my goodness those all look amazing! I love the rabbit in the cone, I so need to make these next spring for my kids. I enjoy a good cupcake especially with tea.